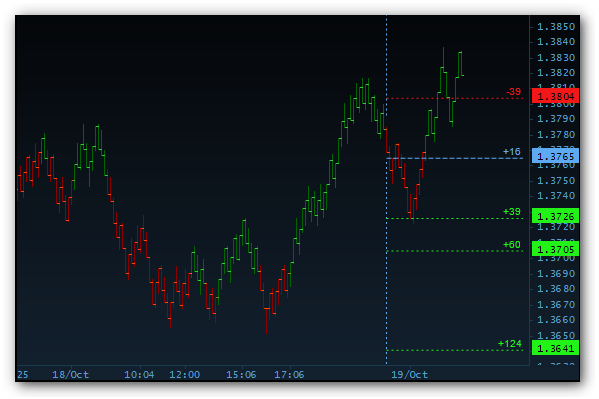 When you are using a Range chart, a new bar is drawn only when the price moves out of the specified price range. As a result, smaller price ranges are removed from the chart. 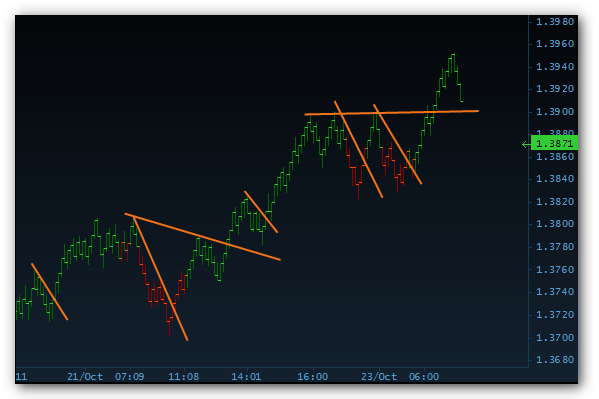 That gives us a chart that respects trend breaks and trendlines much more than time based charts. 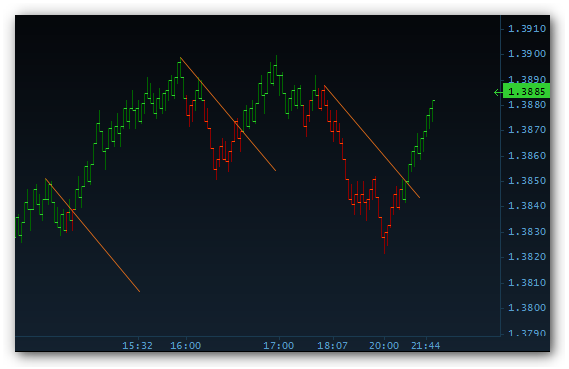 Range charts and traditional trendlines are great tools used together. The Trend Direction indicator also behaves well on range charts. 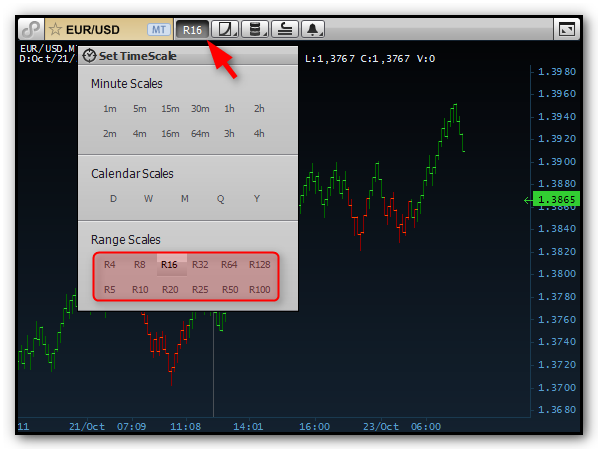 Combine the Trend Direction indicator and the Adaptive Stop/Target tool with Range Charts. The Harmonic Trendlines tool gives high probability trend continuation entry signals on a range chart.